NHL deputy commissioner Bill Daly said Tuesday afternoon that little progress had been made with respect to the league's participation in the 2018 Games. 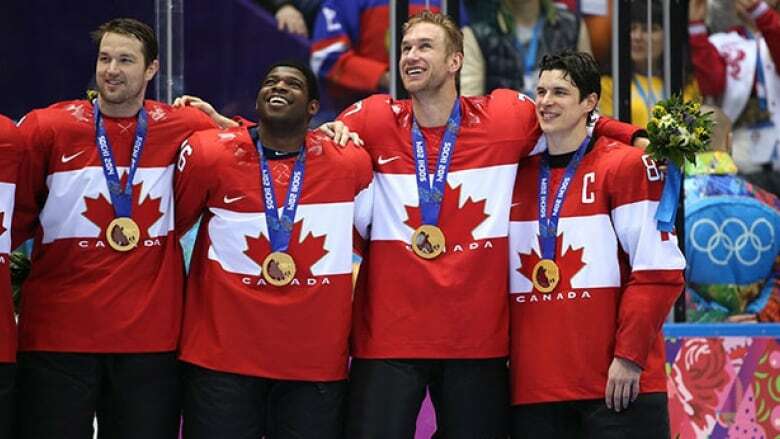 NHL participation in the next Olympics is looking increasingly gloomy. NHL deputy commissioner Bill Daly said Tuesday afternoon that little progress had been made with respect to the league's participation in the 2018 Games. Daly said the league was recently updated on talks between the International Ice Hockey Federation and International Olympic Committee, and those talks didn't look good. "I'm not going to handicap it, but what I'd say is I think time is very short to make a decision and I'm not sure there's been a lot of progress made in the past six months," Daly said ahead of the World Cup of Hockey final between Canada and Europe. "And I'm not sure there's any prospect of progress being made. "So on the basis of that I would say I'm more negative today than I was two weeks ago." The IOC has suggested that it won't the pay out-of-pocket expenses it has historically covered alongside the IIHF. Rene Fasel, the IIHF's president, told the Associated Press earlier on Tuesday that he believed the odds were 50-50 that the NHL would participate. Daly said previously that a final decision on the NHL's participation in the Games would likely fall in December or January. He'd prefer to finalize something earlier than that. "I might be a little more manic on that issue than others because we have a schedule to create for [the 2017-18 season]," Daly said. "And that changes a lot depending on whether we go to the Olympics." NHL commissioner Gary Bettman wasn't as pessimistic as Daly, though he was hardly hopeful either. "The discussions are at a point where the IOC has made its position clear and I think its fair to say the IIHF, Rene Fasel, is trying to figure out what to do," Bettman said. The NHL has participated in every Olympics since 1998. Daly didn't rule out skipping the Games in 2018 and returning in China for 2022.